Despite the latest predictions circling in the last months, Zombies still haven’t lost their popularity. 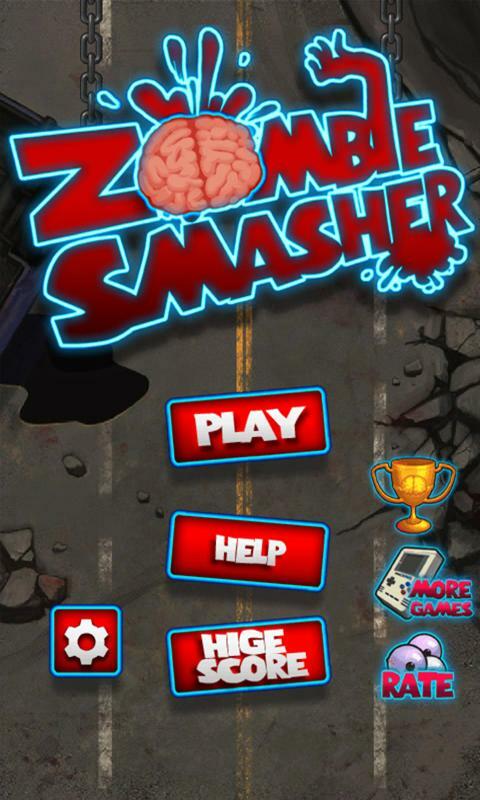 Zombie Smasher is another game that is centered on this well-known theme, which is found in the Play Store’s hit list. In the last few days, we’ve been wondering if this game is really everything it set out to be. Whether or not it is, you’ll discover today in our app test review. Sometimes there are games, which present a very catchy game mechanic and at the same time are the best at getting the player to stay hours stuck in from of a screen. The limit to how long it’s played is usually due to the battery life. Games like Temple Run or Angry Birds show that a simple and also very pragmatic game can also have a lot of success. Zombie Smasher also abides to this minimalistic game concept. That’s why there really isn’t much to say about the game’s overall construction. At the end of the day, the main goal to reach in each level and in each game is to squash as many zombies as you can with your finger. That is where the game obviouslz got its name. However, if you take a second look at the game’s mechanics, you’ll see that it does indeed hold a certain depth. You’re not just confronted with one type of zombie, but on the contrary, with a huge horde of ghastly monsters. You’ve got zombie dogs, which suddenly change directions while walking and zombie sub-forms, which all of a sudden have learned to jump around in the air. There are a total of three different game variations, the best being the story mode, though the name itself is really a joke. In this mode, you’d expect there to be at least a shimmer of a story line – wrong! Another criticism is the difficulty level in story mode. You shouldn’t take what I’m about the say the wrong way and mistake it for overreacting, but the game doesn’t offer the player any huge challenges. When I started playing, I finished the first 20 levels with 3 out of 3 stars, without even breaking a sweat. This might be different from time to time, but most cases; Zombie Smasher is really weak when it comes to various levels of difficulty. And this is – though it’s only a resume of the last point – the critical point. The difficulty curve is almost non-existent and not being able to choose your level of difficulty really puts me in a dilemma. The game is fun; however I can see that Zombie Smasher, when comparing it with other similar games, really doesn’t come close. On top of my main critique point, the tactical extent is only showne within the first few moments of the game. Gimmicks like bombs and meat are cool, but they don’t do the trick. This is hardly a competitive gain and asking for a multiplayer shouldn’t be in default of a ranking list. 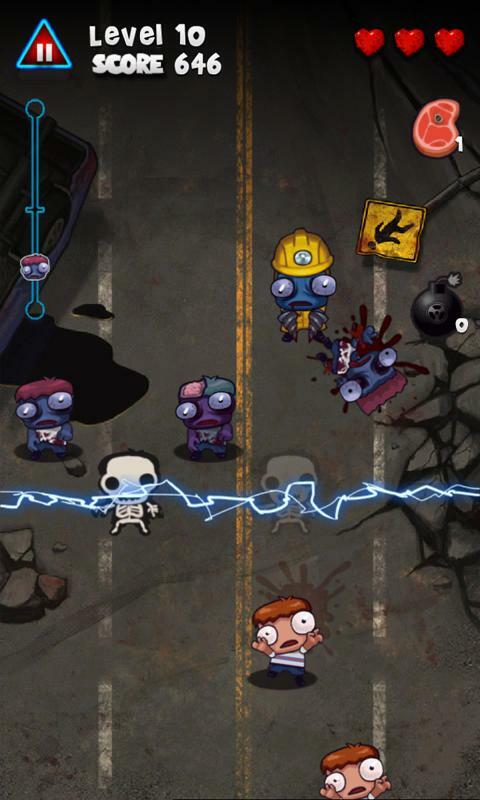 Zombie Smasher leaves a good first impression, but loses a few of its high points after being played for a while. Aspects like a missing story line and not being able to adjust the difficulty or chose multi-player, really taint the game’s otherwise cool image, making it a good, but not perfect game. Now that I’ve ranted a bit about this game in the last category, there aren’t too many words to waste when talking about the controls, which is usually a good sign, at least in my test reviews. Zombie Smasher runs well and operates very smoothly. The presentation - either when talking about graphics or music - is very good and has its very own style and flair. The graphic presentations would be better on a bigger display. The game works really well, without any snags. From this side of things, it won’t leave you in any way frustrated. Zombie Smasher didn’t freeze once during our test review. It worked without any snags, like I mentioned before. 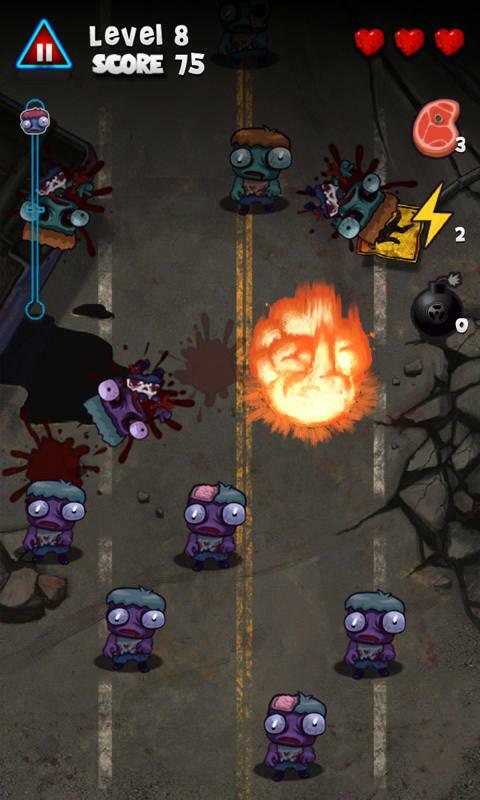 Zombie Smasher is free of charge and free of ads. However, in-app purchasing is available, which actually makes the game easier and isn’t really to the advantage of the player, which doesn’t even offer multiplayer.